Kendall JL, Moreira, ME. Evaluation of the adult with abdominal pain in the emergency department [Internet]. 2016 [Updated 2016 Sep 29; cited 2017 Sep 11]. 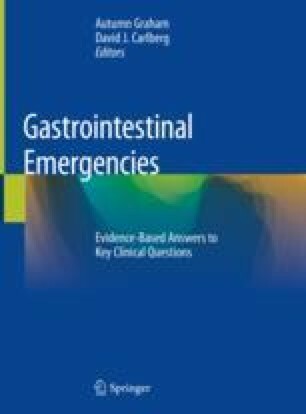 Available from: https://www.uptodate.com/contents/evaluation-of-the-adult-with-abdominal-pain-in-the-emergency-department. Goldner TE, Lawson HW, Xia Z, Atrash HK. Surveillance for ectopic pregnancy – United States, 1970–1989 [Internet]. 1993 Dec 17 [Cited 2017 Sep 11]. Available from: https://www.cdc.gov/mmwr/preview/mmwrhtml/00031632.htm. Guidelines for prevention and treatment of opportunistic infections in HIV-infected adults and adolescents. 2013 [Updated 2013 Jun 17; cited 2018 Jan 25]. Available from: https://aidsinfo.nih.gov/contentfiles/lvguidelines/adult_oi.pdf. Leder K, Weller PF. Epidemiology, clinical manifestations, and diagnosis of cryptosporidiosis [Internet]. 2017 [Updated 2017 Sep 18; cited 2018 Jan 25]. Available from: https://www.uptodate.com/contents/epidemiology-clinical-manifestations-and-diagnosis-of-cryptosporidiosis.